Welcome to the CloudCert, Ltd. ("CC") web site www.cloud-institute.org (the "Site"). CC makes the Site and the related services on the Site available to you subject to the following terms and conditions ("Terms") of this "Agreement". "CC," "we" or "us" means CloudCert, Ltd.
2. Unauthorized Activities. You agree that you will not use the Site for (i) any illegal or unauthorized purposes that violate any laws in your jurisdiction (including but not limited to copyright laws); (ii) modifying, adapting or hacking into the Site or for modifying another website so as to falsely imply that it is associated with CC; or (iii) uploading, posting, hosting, or transmitting unsolicited email, SMSs, “spam” messages, worms or viruses or any code of a destructive nature. You also agree not to modify, distribute, copy, exchange, disseminate, archive, reproduce, transmit, publicly display, publicly perform, broadcast, retransmit, publish by hard copy or electronic means, adapt, edit, compile or create derivative works of the Site Material or otherwise use the Site Material in any way for any public or commercial purpose without express approval from CC. You acknowledge and agree that the unauthorized use of the Site Material could cause irreparable harm to CC and that in the event of such unauthorized use, CC shall be entitled to an injunction in addition to any other remedies available at law or in equity. You are granted a limited, revocable, and nonexclusive right to create a hyperlink to the Site so long as the link does not falsely imply endorsement of your products or services by CC, or otherwise portray CC, or its products or services, in a false, misleading, derogatory, or otherwise offensive matter. 3. Site Material. While CC endeavors to keep the Site Material and other content on, in, and through this Site up-to-date, CC is not responsible for any errors or omissions in the Site Material or content. CC is not responsible for the accuracy or completeness of any information, text, graphics, forms, links, advertisements, or other items contained within the Site. CC may make changes to the Site Material, the Site, or the products or services made available in connection with the Site at any time, with or without notice, and makes no commitment to update any of these items. 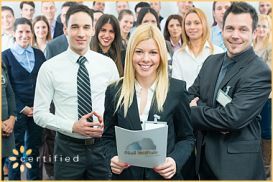 In order to access certain areas and features of the Site you may be required to be a Cloud-Institute Member. 4. Materials Submitted to the Site. The Site allow you to contribute content, information, text, graphics, personal listings, postings, and other materials and information for access, use, and commentary by other visitors to the Site (“User Content”). CC, its subsidiaries, and affiliates are not responsible for and do not guarantee the accuracy or completeness of any User Content that is submitted to the Site. By posting User Content, you represent that you have the full legal right to provide the User Content and that use of the User Content by the Site and all other persons and entities will not (a) infringe any intellectual property rights of any person or entity or any rights of publicity, personality, or privacy of any person or entity, including, but not limited to, as a result of your failure to obtain consent to post personally identifying or otherwise private information about a person; (b) violate any law, statute, ordinance, or regulation; (c) be defamatory, libelous or trade libelous, unlawfully threatening, or unlawfully harassing; (d) be obscene, child pornographic, or indecent; (e) violate any community or Internet standard; (f) contain any viruses, Trojan horses, worms, time bombs, cancelbots, or other computer programming routines that damage, detrimentally interfere with, surreptitiously intercept, or expropriate any system, data or personal information, or that facilitate or enable such or that are intended to do any of the foregoing; (g) constitute misappropriation of any trade secret or know-how; or (h) constitute disclosure of any confidential information owned by any third party. Upon your submission of User Content or other material or information to CC, you grant CC a worldwide, perpetual, non-terminable, irrevocable, transferable, license to access, use, distribute, perform, reproduce, display, modify, create derivative works based upon, and sublicense, and to permit others to access, use, distribute, perform, reproduce, display, modify and create derivative works based upon the User Content, all without any compensation to you whatsoever. CC may remove User Content from the Site that violates any of the warranties provided in the preceding paragraph. CC shall not be responsible for changes, modifications, or removal of any User Content that you submit to the Site. If you believe that any content or postings on the Site violate your intellectual property or other rights, please follow our Complaint Procedure in Section 13 of these Terms. 5. Proprietary Rights. CC owns or licenses all data, content, graphics, forms, artwork, images, photographs, functional components, audio clips, video clips, software and software concepts and documentation and other material for the Site (the “Site Material”), as well as the selection, coordination, arrangement, and organization and enhancement of the Site Material. All Site Material is protected pursuant to United States copyright, trademark, patent and other applicable laws. You agree not to remove or alter any copyright notice or any other proprietary notice on any Site Materials. All names, trademarks, service marks, certification marks, symbols, slogans or logos appearing on the Site are proprietary to CC or its affiliates, licensors, or suppliers. Use or misuse of these trademarks is expressly prohibited and may violate federal and state trademark law. Under no circumstances will you have any rights of any kind in or to the Site, other than the right to use the Site as provided in Paragraph 1 above. 6. Other Sites. This Site may, from time to time, contain links to other Internet Web sites for the convenience of users in locating information, products, or services that may be of interest. These sites and any other sites operated or maintained by third parties are operated or maintained by organizations over which CC exercises no control, and CC expressly disclaims any and all responsibility for the content, information, links, and other items, the accuracy and completeness of the information, and the quality of products or services made available or advertised on these third-party sites. 8. Disclaimer of Warranty and Liability. THIS SITE AND THE SITE MATERIAL ON AND MADE AVAILABLE THROUGH THIS SITE, AND THE SERVICES AND PRODUCTS OFFERED IN CONNECTION WITH THIS SITE, INCLUDING ANY SOFTWARE, ARE MADE AVAILABLE ON AN “AS IS” AND "AS AVAILABLE" BASIS ONLY. USE OF THIS SITE IS ENTIRELY AT YOUR OWN RISK. CC MAKES NO REPRESENTATIONS OR WARRANTIES, AND HEREBY DISCLAIMS ALL REPRESENTATIONS AND WARRANTIES, WITH RESPECT TO THIS SITE AND THE SITE MATERIAL ON AND MADE AVAILABLE THROUGH THIS SITE, AND THE SERVICES AND PRODUCTS OFFERED IN CONNECTION WITH THIS SITE, EXPRESS AND IMPLIED, WRITTEN AND ORAL, ARISING FROM COURSE OF DEALING, COURSE OF PERFORMANCE, USAGE OF TRADE, AND OTHERWISE, INCLUDING, BUT NOT LIMITED TO, THE IMPLIED WARRANTIES OF MERCHANTABILITY, FITNESS FOR A PARTICULAR PURPOSE, ACCURACY, TITLE, QUALITY, SYSTEMS INTEGRATION, AND NON-INFRINGEMENT, INCLUDING THAT THE SITE WILL BE UNINTERRUPTED, TIMELY, SECURE, OR ERROR FREE, THAT THE SITE OR ITS SERVER(S) IS FREE OF VIRUSES OR OTHER HARMFUL COMPONENTS, THAT THE SITE, INCLUDING THE SERVICES WILL BE AVAILABLE, OR THAT CONTENT CREATED ON THE SITE IS SECURE FROM UNAUTHORIZED ACCESS. ANY AND ALL INFORMATION PROVIDED BY CC OR UNDER OR IN CONNECTION WITH THIS SITE IS PROVIDED WITH ALL FAULTS, AND THE ENTIRE RISK AS TO SATISFACTORY QUALITY, PERFORMANCE, ACCURACY, AND EFFORT IS WITH YOU. CC MAKES NO WARRANTY REGARDING ANY SOFTWARE, GOODS, SERVICES, PROMOTIONS, OR THE DELIVERY OF ANY SOFTWARE, GOODS OR SERVICES, PURCHASED, ACCESSED OR OBTAINED THROUGH THE SITE OR ADVERTISED THROUGH THE CC SITE. NO ADVICE OR INFORMATION GIVEN BY CC, ITS EMPLOYEES OR AFFILIATES SHALL CREATE A WARRANTY. 9. Limitation of Liability. You acknowledge that your use of the Site, including any software or content on the Site, and any reliance upon it or the results you generate by using it, is at your sole risk. You agree that, to the fullest extent permitted by applicable law, under no circumstances shall CC or its officers, directors, parents, subsidiaries, affiliates, agents or licensors, or any third-party provider of data or information, be liable for any direct, indirect, consequential, exemplary, extra-contractual, incidental, special or punitive damages of any kind whatever, including loss of business revenue, lost profits, or loss of data, whether in an action under contract, negligence or any other theory, arising out of your use of or inability to use the Site, or your reliance on any advice, information, or content on the Site or provided as part of the Site, even if CC or any related party has been advised of the possibility of such damages, and even if the remedies otherwise available fail of their essential purpose. You specifically acknowledge that down-time, loss of content, and computer viruses are risks inherent in the use of the Internet and software products, and you agree to assume responsibility for any harm or damages of any kind or character whatsoever resulting from these possible harms. You also specifically acknowledge that you may be disclosing sensitive, private and confidential content about yourself, your company or your project in your use of the Site and you agree to assume responsibility for any harm or damages of any kind or character whatsoever resulting from your release of such content. Under no circumstances will the total liability of CC to you in connection with, based upon, or arising from this Site or your use of this Site exceed $100. Some jurisdictions do not permit the exclusion or limitation of liability for consequential or incidental damages, and, as such, some portion of the above limitation may not apply to you. In such jurisdictions, CC’s total liability is limited to the greatest extent permitted by law. It is the intention that this provision be construed by a court as being the broadest limitation of liability consistent with applicable law. If you are dissatisfied with the Site, or with any of these Terms, or feel CC has breached these Terms, your sole and exclusive remedy is to discontinue using the Site. 10. Indemnification. You agree to defend, indemnify and hold CC, and its subsidiaries, affiliates, officers, directors, employees, representatives, proprietors, partners, shareholders, servants, principals, agents, predecessors, successors, assigns, co-branders, licensees, members and attorneys harmless from and against any and all suits, actions, claims, demands, proceedings (whether judicial, regulatory, or administrative), damages, settlements, judgments, injuries, liabilities, losses, risks, costs, and expenses (including reasonable attorneys' fees and litigation expenses) relating to or arising from the Site, your use of the Site, your fraud, violation of law, or willful misconduct, and any breach by you of these Terms. 12. Security. You understand that the technical processing and transmission of any Site content may be transferred unencrypted and involve (a) transmissions over various networks; and (b) changes to conform and adapt to technical requirements of connecting networks or devices. Please be advised that we do not guarantee that any information sent from our Site will be secure during transmission, nor can we guarantee the confidentiality of any communication or material transmitted to CC via the Site or the Internet, including, for example, personal information such as your name or address. 13. Complaint Procedures. If you believe that any content or postings on this Site violates your intellectual property or other rights, please send to CC at the address listed in Paragraph 17 a comprehensive detailed message setting forth the following information: (1) your name and the name of your company, if any; (2) your contact information, including your e-mail address; (3) the nature and substance of your complaint, the specific rights at issue, and your basis for making the complaint, including the content or posting that is objectionable; and (4) the following statement: "The statements, representations, and assertions made in this message are true, complete, and accurate and I have the full legal authority to make each and every such statement, representation, and assertion and to make and be granted any demand made in this message." 14. Changes; Termination. You agree that we retain the right to amend these Terms and the Site at any time, for any reason, and with or without notice. Your continued use of the Site after any change is made to the Terms signifies your understanding of and intention and agreement to be bound by such change, whether or not you have actual notice thereof. It is your responsibility to monitor these Terms for changes. CC reserves the right to terminate your access to this Site in the event that you violate these Terms or for any reason whatsoever or no reason, with or without notice. 15. Governing Law and Jurisdiction. These Terms represent the entire agreement between you and CC with respect to the subject matter hereof, supersedes any and all prior and contemporaneous agreements between us, and will be governed by and construed in accordance with the laws of the State of Delaware without reference to its conflict of law rules. By accessing, viewing, or using this Site or the Site Material, you consent to the jurisdiction of the federal and state courts presiding in the City of Philadelphia, Commonwealth of Pennsylvania, and agree to accept service of process by mail and hereby waive any and all jurisdictional and venue defenses otherwise available. This Site is controlled and operated by CC from within the United States. CC makes no representation that this Site or the Site Material is appropriate or available for use in any location or territory, and access to this Site or the Site Material from locations or territories where it is illegal is prohibited. The waiver or failure of CC to exercise in any respect any right provided hereunder shall not be deemed a waiver of such right in the future or a waiver of any of other rights established under these Terms. 1. Definitions .The data protection declaration of the CloudCert, Ltd. is based on the terms used by the European legislator for the adoption of the General Data Protection Regulation (GDPR). Our data protection declaration should be legible and understandable for the general public, as well as our customers and business partners. To ensure this, we would like to first explain the terminology used. 4. Collection of general data and information. The website of the CloudCert, Ltd. collects a series of general data and information when a data subject or automated system calls up the website. This general data and information are stored in the server log files. Collected may be (1) the browser types and versions used, (2) the operating system used by the accessing system, (3) the website from which an accessing system reaches our website (so-called referrers), (4) the sub-websites, (5) the date and time of access to the Internet site, (6) an Internet protocol address (IP address), (7) the Internet service provider of the accessing system, and (8) any other similar data and information that may be used in the event of attacks on our information technology systems. When using these general data and information, the CloudCert, Ltd. does not draw any conclusions about the data subject. Rather, this information is needed to (1) deliver the content of our website correctly, (2) optimize the content of our website as well as its advertisement, (3) ensure the long-term viability of our information technology systems and website technology, and (4) provide law enforcement authorities with the information necessary for criminal prosecution in case of a cyber-attack. Therefore, the CloudCert, Ltd. analyzes anonymously collected data and information statistically, with the aim of increasing the data protection and data security of our enterprise, and to ensure an optimal level of protection for the personal data we process. The anonymous data of the server log files are stored separately from all personal data provided by a data subject. 5. Registration on our website. The data subject has the possibility to register on the website of the controller with the indication of personal data. Which personal data are transmitted to the controller is determined by the respective input mask used for the registration. The personal data entered by the data subject are collected and stored exclusively for internal use by the controller, and for his own purposes. The controller may request transfer to one or more processors (e.g. a parcel service) that also uses personal data for an internal purpose which is attributable to the controller. 6. Contact possibility via the website. The website of the CloudCert, Ltd. contains information that enables a quick electronic contact to our enterprise, as well as direct communication with us, which also includes a general address of the so-called electronic mail (e-mail address). If a data subject contacts the controller by e-mail or via a contact form, the personal data transmitted by the data subject are automatically stored. Such personal data transmitted on a voluntary basis by a data subject to the data controller are stored for the purpose of processing or contacting the data subject. There is no transfer of this personal data to third parties. 7. Routine erasure and blocking of personal data. The data controller shall process and store the personal data of the data subject only for the period necessary to achieve the purpose of storage, or as far as this is granted by the European legislator or other legislators in laws or regulations to which the controller is subject to. If one of the aforementioned reasons applies, and a data subject wishes to request the erasure of personal data stored by the CloudCert, Ltd., he or she may at any time contact our Data Protection Officer or another employee of the controller. The Data Protection Officer of the CloudCert, Ltd. or another employee shall promptly ensure that the erasure request is complied with immediately. Where the controller has made personal data public and is obliged pursuant to Article 17(1) to erase the personal data, the controller, taking account of available technology and the cost of implementation, shall take reasonable steps, including technical measures, to inform other controllers processing the personal data that the data subject has requested erasure by such controllers of any links to, or copy or replication of, those personal data, as far as processing is not required. The Data Protection Officer of the CloudCert, Ltd. or another employee will arrange the necessary measures in individual cases. If one of the aforementioned conditions is met, and a data subject wishes to request the restriction of the processing of personal data stored by the CloudCert, Ltd., he or she may at any time contact our Data Protection Officer or another employee of the controller. The Data Protection Officer of the CloudCert, Ltd. or another employee will arrange the restriction of the processing. In order to assert the right to data portability, the data subject may at any time contact the Data Protection Officer designated by the CloudCert, Ltd. or another employee. The CloudCert, Ltd. shall no longer process the personal data in the event of the objection, unless we can demonstrate compelling legitimate grounds for the processing which override the interests, rights and freedoms of the data subject, or for the establishment, exercise or defence of legal claims. If the CloudCert, Ltd. processes personal data for direct marketing purposes, the data subject shall have the right to object at any time to processing of personal data concerning him or her for such marketing. This applies to profiling to the extent that it is related to such direct marketing. If the data subject objects to the CloudCert, Ltd. to the processing for direct marketing purposes, the CloudCert, Ltd. will no longer process the personal data for these purposes. In addition, the data subject has the right, on grounds relating to his or her particular situation, to object to processing of personal data concerning him or her by the CloudCert, Ltd. for scientific or historical research purposes, or for statistical purposes pursuant to Article 89(1) of the GDPR, unless the processing is necessary for the performance of a task carried out for reasons of public interest. In order to exercise the right to object, the data subject may directly contact the Data Protection Officer of the CloudCert, Ltd. or another employee. In addition, the data subject is free in the context of the use of information society services, and notwithstanding Directive 2002/58/EC, to use his or her right to object by automated means using technical specifications. If the decision (1) is necessary for entering into, or the performance of, a contract between the data subject and a data controller, or (2) it is based on the data subject's explicit consent, the CloudCert, Ltd. shall implement suitable measures to safeguard the data subject's rights and freedoms and legitimate interests, at least the right to obtain human intervention on the part of the controller, to express his or her point of view and contest the decision. If the data subject wishes to exercise the rights concerning automated individual decision-making, he or she may at any time directly contact our Data Protection Officer of the CloudCert, Ltd. or another employee of the controller. i) Right to withdraw data protection consent. Each data subject shall have the right granted by the European legislator to withdraw his or her consent to processing of his or her personal data at any time. iI the data subject wishes to exercise the right to withdraw the consent, he or she may at any time directly contact our Data Protection Officer of the CloudCert, Ltd. or another employee of the controller. 9. Legal basis for the processing. Art. 6(1) lit. a GDPR serves as the legal basis for processing operations for which we obtain consent for a specific processing purpose. If the processing of personal data is necessary for the performance of a contract to which the data subject is party, as is the case, for example, when processing operations are necessary for the supply of goods or to provide any other service, the processing is based on Article 6(1) lit. b GDPR. The same applies to such processing operations which are necessary for carrying out pre-contractual measures, for example in the case of inquiries concerning our products or services. Is our company subject to a legal obligation by which processing of personal data is required, such as for the fulfillment of tax obligations, the processing is based on Art. 6(1) lit. c GDPR. In rare cases, the processing of personal data may be necessary to protect the vital interests of the data subject or of another natural person. This would be the case, for example, if a visitor were injured in our company and his name, age, health insurance data or other vital information would have to be passed on to a doctor, hospital or other third party. Then the processing would be based on Art. 6(1) lit. d GDPR. Finally, processing operations could be based on Article 6(1) lit. f GDPR. This legal basis is used for processing operations which are not covered by any of the abovementioned legal grounds, if processing is necessary for the purposes of the legitimate interests pursued by our company or by a third party, except where such interests are overridden by the interests or fundamental rights and freedoms of the data subject which require protection of personal data. Such processing operations are particularly permissible because they have been specifically mentioned by the European legislator. He considered that a legitimate interest could be assumed if the data subject is a client of the controller (Recital 47 Sentence 2 GDPR). 10. The legitimate interests pursued by the controller or by a third party. Where the processing of personal data is based on Article 6(1) lit. f GDPR our legitimate interest is to carry out our business in favor of the well-being of all our employees and the shareholders. 11. Period for which the personal data will be stored. The criteria used to determine the period of storage of personal data is the respective statutory retention period. After expiration of that period, the corresponding data is routinely deleted, as long as it is no longer necessary for the fulfillment of the contract or the initiation of a contract. 12. Provision of personal data as statutory or contractual requirement; Requirement necessary to enter into a contract; Obligation of the data subject to provide the personal data; possible consequences of failure to provide such data. We clarify that the provision of personal data is partly required by law (e.g. tax regulations) or can also result from contractual provisions (e.g. information on the contractual partner). Sometimes it may be necessary to conclude a contract that the data subject provides us with personal data, which must subsequently be processed by us. The data subject is, for example, obliged to provide us with personal data when our company signs a contract with him or her. The non-provision of the personal data would have the consequence that the contract with the data subject could not be concluded. Before personal data is provided by the data subject, the data subject must contact our Data Protection Officer. Our Data Protection Officer clarifies to the data subject whether the provision of the personal data is required by law or contract or is necessary for the conclusion of the contract, whether there is an obligation to provide the personal data and the consequences of non-provision of the personal data. 13. Existence of automated decision-making. As a responsible company, we do not use automatic decision-making or profiling. Copyright © 2019 CloudCert, Ltd; All rights reserved.